A new report from the Auditor General of Canada says it plainly: Ottawa’s chosen construction method, a public-private partnership (P3), is a failure. 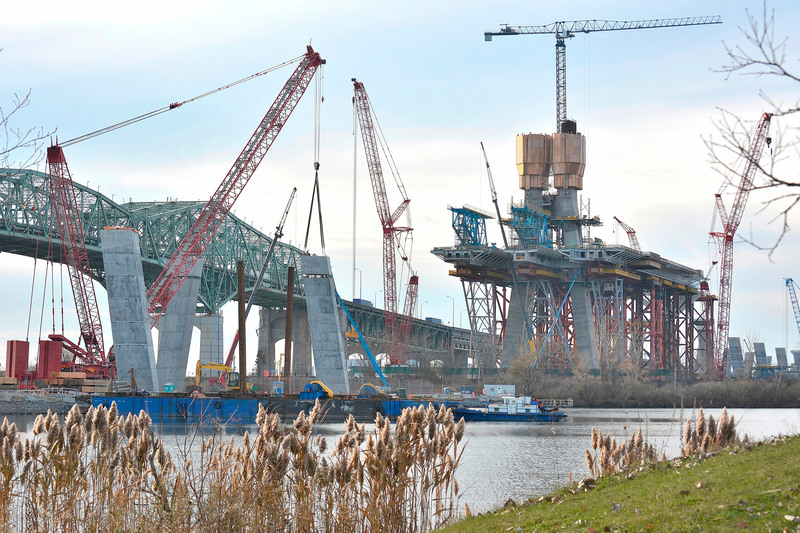 The new Champlain Bridge will not be ready when promised and will be over budget. “Unfortunately, it’s no surprise to us that the P3, which was supposed to speed things up, did not pay off. What a mess!” said Denis Bolduc, President of CUPE Quebec. In 2014, Infrastructure Canada claimed the P3 model would save $227 million. The following year, an updated analysis estimated the savings at a whopping $1.75 billion, a theoretical amount based on incomplete and biased “value for money” analyses. “As the auditor reports, the construction cost estimates were based on a design that was only five per cent completed, instead of the 30 per cent complete that is best practice. Moreover, as is the case in most “value for money” analyses that promote P3s, an “efficiency rate” of 10 per cent was used in the model, even though PPP Canada recommended a rate of five per cent. The higher rate gave the P3 plan an unfair advantage,” explained Pierre-Guy Sylvestre, an economist with CUPE. Furthermore, the AG noted that the P3 used an inflated discount rate, which theoretically reduces the future value of expenses. Quebec’s P3 promotion agency, and other P3 promoters in Canada and elsewhere in the world, have also used this strategy to understate the value of long-term operational costs. The federal government did not maintain the old bridge and waited too long to develop a smart and sustainable replacement plan that made sense for citizens. Instead, the objective was to unfairly favour the P3 model to enable private firms to make a profit, without measuring the economic impact and traffic congestion for citizens of Montreal, among other things.